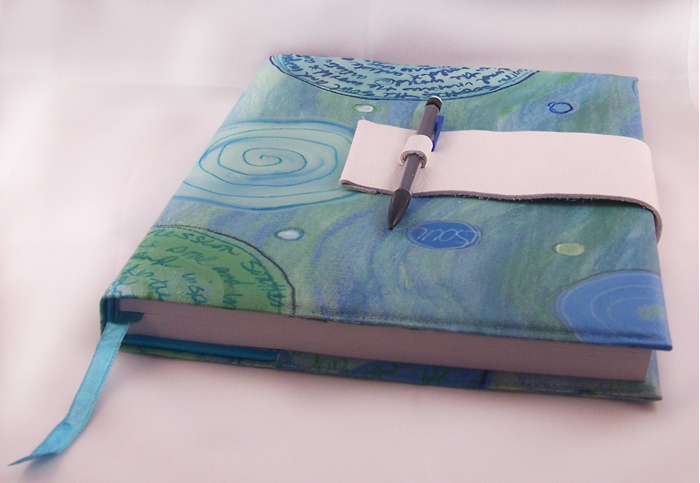 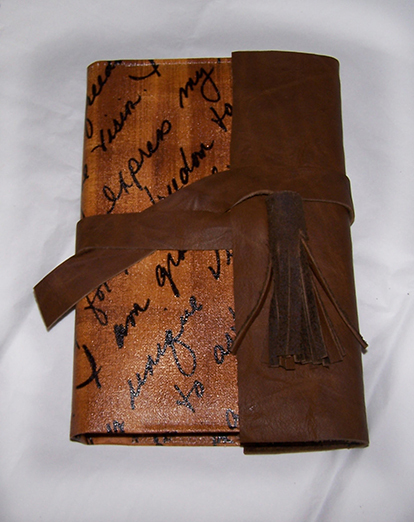 Acrylic painted canvas and leather covered lined journal. 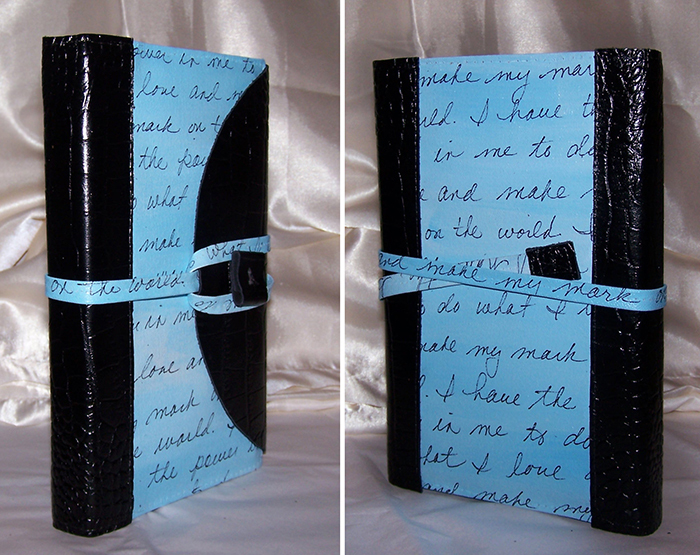 Acrylic painted canvas and letter covered journal. 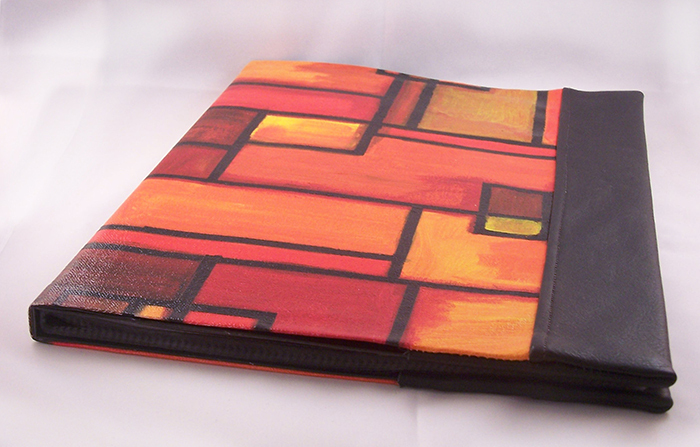 Acrylic painted canvas and leather covered portfolio.